Welcome to SiteStrux. We are a talented team of web fanatics who specialize in combining design, technology, and marketing to create great web experiences. Do you want your website to be great? Then we want to work with you. 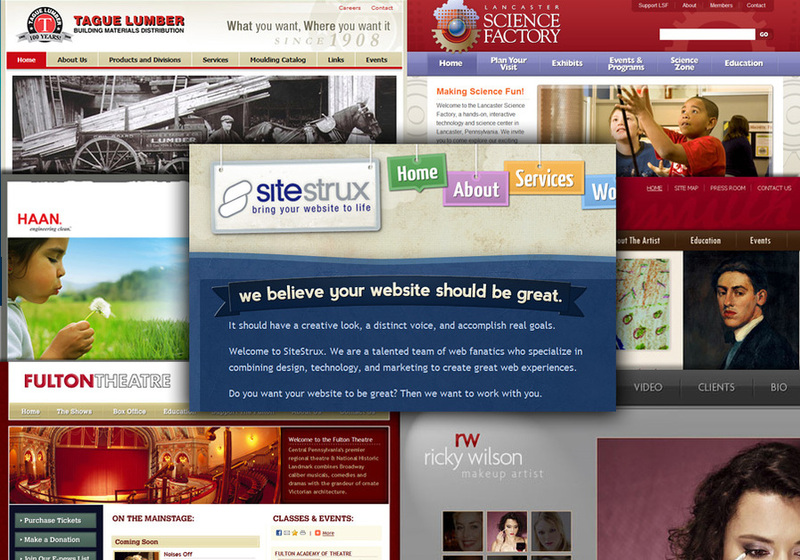 A collection of recent work from SiteStrux, Inc.